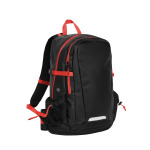 All-season, lightweight, 100% waterproof backpack designed for versatility and durability with technical features including back padding with breathable mesh, laptop compartment, and multiple two-way zippered compartments. Features: 100% Waterproof Fabric; Adjustable Chest and Waist Straps; Back Padding With Breathable Mesh; Contrast Zippers and Webbing; Hydration Bladder Compatible; Key Clip; Laptop Compartment; Media Port; Multiple Two-Way Zippered Compartments; Reflective Back Panel; Side Compression Straps; Water Bottle Pockets; FABRIC: 100% PVC / 100% Polyester 1680D; Size: 21" x 12.4" x 6.25". 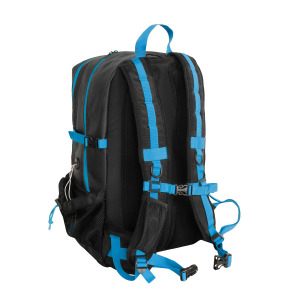 I'm interested in learning about the Stormtech Deluge Waterproof Backpack. Please contact me.